The below-average measurement -- considered one way to gauge the state's water supply -- were not surprising, given the moderate January precipitation and an historically dry December. California is two months into its wettest three months of the year and well below average as winter fails to deliver much-needed snow and rain. "The snow survey today shows water content far below average for this time of year," said Frank Gehrke, chief of the California Cooperative Snow Surveys Program who conducted today's survey in the Sierra Nevada Mountains. "Today’s measurements indicate an anemic snowpack to date, but there is still the possibility of a wet February and March." Thursday's manual reading was at the Phillips Station survey site, about 90 miles east of Sacramento off Highway 50 in El Dorado County. Mountains along the state's eastern flank act like a giant natural reservoir. 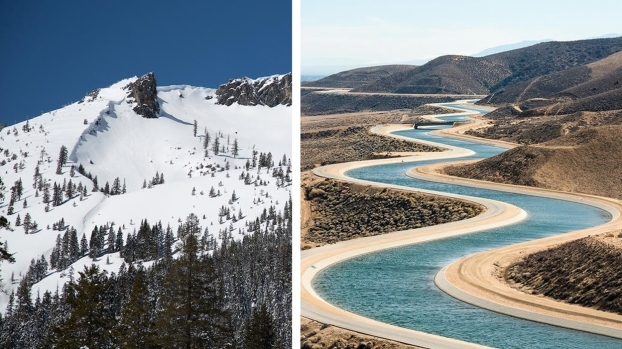 Snow melts in spring and flows into California's aqueduct system, providing water for millions. Phillips Station showed a snow-water equivalent of 2.6 inches, about 14 percent of the early February average. 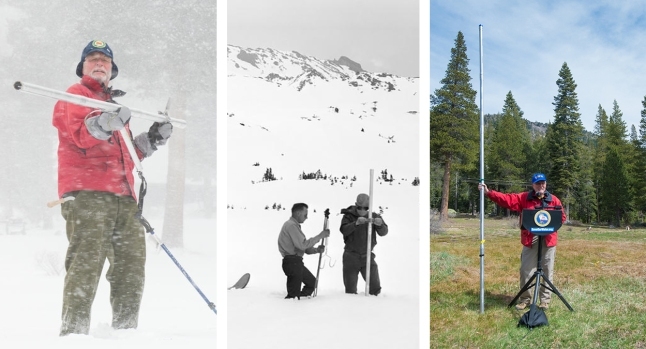 Readings from 103 electronic stations in the Sierra Nevada range show a snow-water equivalent of 4.6 inches, 27 percent of the average for this time of year. Snow-water equivalent is the depth of water that theoretically would be available if the entire snowpack melted instantaneously. This year's conditions are a reminder of the state's cycle of drought and recovery. At the peak of California's recently ended five-year drought, Gov. Jerry Brown ordered 25 percent water conservation in cities and towns and declared a drought emergency. Heavy rains in Northern California last year finally snapped the drought, and Brown declared the emergency over in April. But the drought never really seemed to end in some Southern California areas, said Daniel Swain, a climate scientist with the University of California, Los Angeles. Los Angeles received only one significant rain in almost the last 12 months. In Ventura and Santa Barbara counties, which are about 100 miles north of Los Angeles, the lack of rain and dry vegetation were perfect fuel for a December wildfire that grew to be the largest recorded in state history. When it finally rained, the scorched earth turned into deadly mudslides. The most recent weekly U.S. drought monitor, a product of the federal government and others, shows only small patches of the state, in Southern California, in the mildest form of drought. That compares to 2014 and 2015, some of the driest years in history in California, when much of the state was rated as in the most severe categories of drought. In the middle of the state's winter rain and snow season, no rain is in the forecast. In Southern California, "it really is pretty grim," said Swain, who has tracked the stubborn weather patterns blocking rain from the state's south for years. 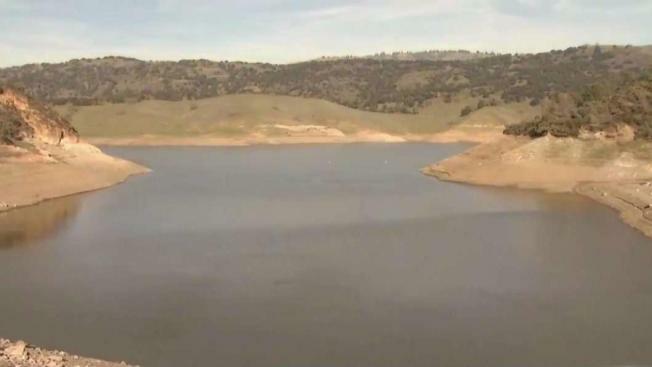 Doug Carlson, spokesman for the state's Department of Water Resources, which carries out the snowpack surveys, said the dry weather is a growing concern, although reservoirs are still fuller than usual thanks to last year's rain in Northern California. Considerations of what constitutes a drought vary, and include: rainfall, the state of waterways, soil dryness, and other measures. Any decision to declare a new drought emergency if the winter remains dry, or later, would be up to Brown.